Assiduous readers of this blog, if they exist, will remember my occasional campaign for Britain to go the whole hog with a federal system that would guarantee full Home Rule (resonant phrase: absit omen!) not only for Scotland but also for England, Wales and Northern Ireland, answering the West Lothian question conclusively and logically as well as resolving many other anomalies in our present inchoate and chaotic constitutional arrangements. In a blog post last February, following the publication of a letter of mine on the subject in the Independent, I tried to answer some of the objections and queries raised to and about the federal proposal and included links to earlier pieces that I have written on the subject. But, contrary to the article's heading, this is not the 'only remedy for devolution', nor the best. It neglects to cater for Wales, Northern Ireland or indeed England (the only part of the UK without its own parliament or executive). The 'problem' with devolution is that we don't have enough of it. We have sleep-walked half-way into a de facto federation of the four nations but are inexplicably scared to go the rest of the way. We need a parliament and government for England on a par with those already created in the other three national capitals, exercise by right of all internal powers (education, health, crime, security, etc.) by the four nations, and the Westminster parliament and government taking responsibility only for matters affecting the whole country, mainly foreign affairs and defence. This answers the West Lothian question at a stroke, gives full internal self-government, free of interference from Westminster, to Wales and Northern Ireland as well as England and Scotland, avoids the wasteful duplication of the paraphernalia of complete independence by both Scotland and the rest of the UK, and gives us a federal system of the kind that works well for the Americans, Australians, Swiss, Germans and many others. Why is British democracy supposed to be so defective that federation can't work equally well for us? Of course the federal proposal raises very many questions, many of which have been asked and (I hope) answered in earlier posts here and in comments on them: eg here, here and here (and more links in each of them). So I trust that I may be forgiven if I don't go over all that ground yet again in reply to any comments here. …embarrassment at some of the excesses of the English nationalists — right-wing extremists in many cases, Europhobes and Scotophobes, xenophobes into the bargain, true Little Englanders — should not be allowed to divert the debate; nor should the noisy wavers of the England flag be permitted to hijack the argument about the need for a true federation, one which should appeal above all to small-l liberals and internationalists of all the mainstream parties. 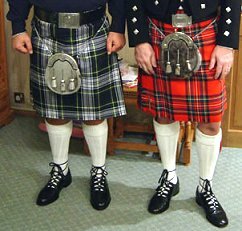 I have no Scottish blood or other connections, as far as I know, but I do have several much valued Scottish friends of long standing, and I would regard the secession of Scotland from Britain as being almost like the amputation of an arm or a leg. To change the metaphor, Scotland is an indispensable ingredient in our national casserole, which will become dull and flavourless if that ingedient is removed. Federation, and only federation, will give us the best of both (or all possible) worlds. Would it also be worth examining the assumption that, in the case of a split between England and Scotland, England would be automatically admitted into the EU? And Wales and Northern Ireland, of course. I’m not sure of the details, but might Greenland set a precedent here? It gained "home rule" within the Kingdom of Denmark in 1979 and subsequently left the EU. What I don’t know is whether the "home rule" in Greenland’s case is like Scotland’s or Canada’s. If it’s like Canada’s, which I’d guess it is if it could make its own decision on EU membership, then that seems to indicate that EU membership would be carried over. Presumably, if Scotland left the Union the remainder of the UK would keep the residual international rights and obligations as Russia did after the break-up of the USSR. an independent Scotland could make its own decision but that would have to be a decision to apply for membership, though this could all be negotiated before independence so that membership could in fact be continuous. No independent country has an automatic right to be a member of the EU — for one thing, it might not by itself meet the economic or political criteria that are met by the whole country from which it is seceding. It has to be accepted on its own merits. One or two questions and comments? Apart perhaps from its headline, what's so "silly" about Geoffrey Wheatcroft's piece? I don't agree with all of it, but most of it seems to me to be reasonably sensible. You say "This… gives us a federal system of the kind that works well for the Americans, Australians, Swiss, Germans and many others. Why is British democracy supposed to be so defective that federation can't work equally well for us?" Well, the Americans, the Australians and the Swiss aren't members of the EU, and many of us instinctively feel we've got enough tiers of government already, thank you very much. Do you really think people distrust your federal solution because they're frightened British democracy couldn't cope? It seems to me much more likely they simply don't like the idea. Brian writes: John, thank you, but I think the only way I can answer your questions is by repeating myself. "Supporters of the English parliament – an idea that derives from an infantile proposition about fairness, rather than need – will more or less get their way." and it made me think of your carefully constructed propositions for a workable way out of the current semi-devolved shambles. How on earth can we hope for a suitable solution when political columnists are content to dismiss it so arbitrarily? However, the underlying message of his piece seems to be "Vote Labour not SNP", so perhaps he is merely worried about the consequences of Scottish MP votes being unavailable for regional issues outside Scotland. Brian (just back on 6 May from two weeks away) writes: I agree that it's frustrating to see so few commentators, even those as generally perceptive and articulate as Aaronovitch, able to see the logic of a federal solution which would necessarily involve an English parliament and executive. Perhaps enlightenment will dawn eventually. But you're probably right to suspect that the problem is distorted in some eyes by fears of the effect on party politics of removing the votes of Scottish Labour MPs at Westminster from parliamentary decisions affecting England's internal affairs. Has anyone, I wonder, given thought to how we would divide up the national debt if Scotland became independent? It might make some of the Scots smart if it was done on the same basis as the Barnett formula, under which the Scots receive more revenue per head than the English, and have a disproportionately generous representation in Westminster. '…I hope, almost certainly in vain, that my Guardian letter won't trigger another battering from the Little England brigade in further Guardian letters, comments in Ephems, and letters and leaflets through my letter-box.' And why would that happen then Brian? Why would they be sending you letters disagreeing? "Too many of the authors of these are interested only in getting an English parliament" Oh I see Brian. It is okay for scots, n irish and welsh to scream and shout about what they do not have but for the English it isnt okay? Why not? There is no legitimate reason why the English cant scream and shout about what they dont have to is there Brian? "…and in many cases don't give a damn about Scotland or the rest of the UK, or about preserving the Union…" Why should an Englishman care about scotland or wales? Would you tell a jock he had to care about England? No, of course you wouldn't! Preserving the union Brian? You vote new labour dontcha? ASK FRIGGIN' BLAIR! '…satisfying the legitimate aspiration of the four nations to run their own affairs…" What about…satisfying the legitimate aspiration of ENGLAND to run ITS own affairs Brian? "…how best we can all live together under a sensible constitution that will endure for the next few generations: i.e., a federation." How can we be in a federation and England be without a parliament? As I said in a post earlier this year, "…embarrassment at some of the excesses of the English nationalists — right-wing extremists in many cases, Europhobes and Scotophobes, xenophobes into the bargain, true Little Englanders — should not be allowed to divert the debate…" "Excesses" Brian? Such as what? Look Brian, it's simple. You either believe in democracy or you dont. If you think this comment (true Little Englanders — should not be allowed to divert the debate) is okay to make then you are not democractic. Besides that, what if 45 million out of the population of England WERE little Engerlanders and voted accordingly? You would deny them their self determination. Actually, that is exactly what new labour HAVE done for the last TEN YEARS!! nEW LABOUR AND YOU ARE FASCIST! nor should the noisy wavers of the England flag be permitted to hijack the argument about the need for a true federation, one which should appeal above all to small-l liberals and internationalists of all the mainstream parties. Oh be quiet Brian you fascist! "Small L liberal"? Ha! ha! You want the English nationalist voices to be silenced Brian. There aint nothing liberal about that! You are showing your fascist nature Brian. Brian writes: You evidently haven't bothered to read any of my proposals for a federated UK, all of which include a parliament (and government) for England. Throwing out accusations of 'fascism' at anyone you think you disagree with simply devalues language. Your comment is an excellent example of the kind of overheated diversionary argument which makes rational discussion so difficult.